The government have abolished Compromise Agreements and renamed them Settlement Agreements. This happened on 29 July 2013, although most employers still call them compromise agreements. The government’s explanation for this name change was that it would improve dispute resolution rates because settlement agreement would help to avoid any party refusing to sign an agreement on the grounds that they do not want to be seen as ‘compromising’. Given the wording of the legislation it is essential that employers do not use old compromise agreements as they risk those being unenforceable. 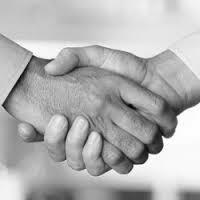 In June 2013 ACAS published a Code of Practice on Settlement Agreements. A failure to observe this Code does not automatically employer liable to any legal action but the Code is admissible in evidence. If an employer has acting in breach of the code that is a factor that can be taken into account by the Tribunal. ACAS also published a more useful guide: Settlement Agreements: A Guide. This is intended to help employees and employers to understand when to use settlement agreements and how they can be negotiated. 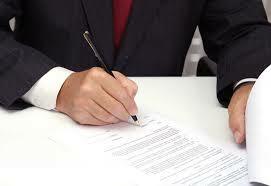 There are checklists for employers and employees and also a model agreement. It also contains template “offer” letters, and examples of how settlement agreements might be used. It also includes examples of what could constitute improper behaviour by either an employer or employee when discussing and using settlement agreements. The ACAS Code states correctly that there is no legal right for employees to be accompanied during pre-termination negotiations, but it suggests that employers should allow this. Fox Whitfield’s view is that adding this sort of formality and additional procedure could undermine the point of an informal conversation and may make it harder to have frank conversations with an employee. The guide however, says it is “good practice to allow the companion to play a full part, including expressing views on behalf of the employee and responding to questions or proposals put by the employer”. Fox Whitfield would also advise employers very strongly to take proper expert legal advice before entering into settlement negotiations with an employee or in using the suggested letter or agreements provided by ACAS as there are many cases where these would be entirely unsuitable. iii. An employee threatening to undermine an organisation’s public reputation if the organisation does not sign the agreement, unless the provisions of the Public Interest Disclosure Act 1998 apply. Termination date. A Date on which it is agreed the employment had ended or will end. The agreement should state that the employee will be paid in the normal way up to that date. There is also often a clause to state that the employee will be paid for any holiday they have accrued but not taken at that date, or if they have taken more holiday than they accrued that this is deducted from the final salary payment. Compensation for loss of office. Notice pay. It is essential to get legal advice about the contract of employment as notice pay can be paid free of tax in some cases. Waiver. When entering into a settlement agreement, the employer’s aim will be to achieve an effective waiver of all possible claims that the employee may have against it. What can and can’t be effectively waived under a settlement agreement can be legally complex and discussed with the legal adviser in each case. It is normal for the waiver to be very wide and to cover all claims the employee may have other than those for latent personal injury or in respect of their accrued pension rights. Return of Property. Employees will generally be required to return all of the employer’s property to them by a specified date. This may also include a requirement to delete the employers information off any of the employee’s computer systems. Confidentiality. Almost all settlement agreements will require the employee to keep the terms of the agreement and what they have been paid confidential. This may also cover the events leading up to the settlement agreement. Legal Advice and Fees. It is a requirement for employees signing a settlement agreement to take independent legal advice before they sign the agreement. It is also normal for the employer to make a payment towards those fees. The amount offered may be open for negotiation. In most cases the legal fees offered by employers is between £250 and £500 (plus VAT) depending on the complexity and breadth of the issues. in more complex cases this may be higher. What is a Fair Settlement to Offer or Accept? This is something that will vary in each case and your solicitor should look at what the employee might receive if they were to bring a successful claim, the chances of a claim succeeding and the costs of brings or defending that claim. Other factors such as the employees ability to find another job in the current job market etc. also need to be taken into account. Fox Whitfield will always give open and honest advice about whether or not an offer is a good offer or not and, if appropriate, will negotiate on your behalf to achieve the best deal available. It is now, since 29 July 2013, less risky for employers to hold pre-termination negotiations with employees. Pre-termination negotiations conducted after 29 July 2013 cannot be referred to in evidence in an ordinary unfair dismissal case unless there has been “improper behaviour”. What is unclear is how this will affect cases in which an employee is alleging multiple causes of action: for example, discrimination and ordinary unfair dismissal, or an ordinary unfair dismissal case where the employee is alleging constructive dismissal based on the employer’s breach of trust and confidence. Fox Whitfield advise all employers to take legal advice as to what should and should not be said in any Pre-termination negotiations before starting those conversations with any employee. Getting it wrong could lead to discrimination claims or constructive dismissal claims. It could also be viewed as improper behaviour and used in an unfair dismissal case. There is no guidance in the legislation as to the meaning of “improper” or “improper behaviour” but the ACAS guide has some examples.